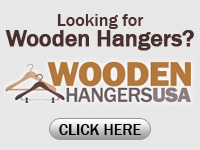 At Plastic Hangers USA, we are all about value. That means getting the quality that you need at the wholesale prices that you desire. We've created this "Guide to Retail Hangers" so that you can compare our plastic retail hangers and determine which ones are best for you.